Suitable for use with most popular Brands of Rotary Clothes Hoists – both FoldAway and Fixed Rotaries. No more bending over to a washing basket on the ground! 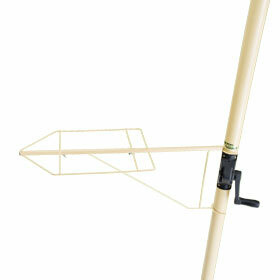 With the Austral Ezy Rest Basket Holder your washing will always be at a comfortable height. Austral’s Cord is manufactured in Australia to our own Specifications to ensure its durability in Australia’s harshest climates for a long time. The flexible outer coating is manufactured using a high UV composition to inhibit the splitting or stretching of the Cord when properly installed. Austral’s Cord does not contain Lead. 40 metre pack - Suitable for use with all brands of Fold Down clotheslines. 450 metre roll – Ideal for contractors and retailers. Suitable for use with all brands of FoldAway Rotaries. The Cord may require occasional cleaning. NEVER USE BLEACH or harsh cleaning agents to wipe the cord as it will cause the outer coating to break down. Only use hot soapy water or white vinegar to remove grime or mould from the Cord. 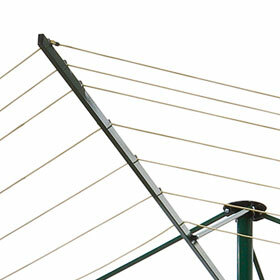 This will ensure the maximum life span for your clothesline cord. 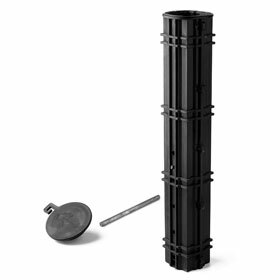 Austral’s Retainer Clips are manufactured in Australia using high tensile plastic with a high UV composition to ensure their durability in Australia’s harshest climates for a long time. Retainer Clips are available in mixed packets of Outer Clips for the external line and Inner Clips for all internal lines. 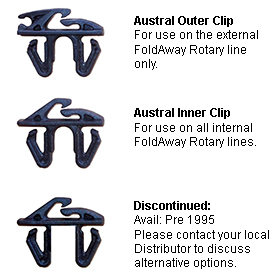 Austral’s Retainer Clips are only suitable for use with Austral’s FoldAway 45 and FoldAway 51 Rotaries. 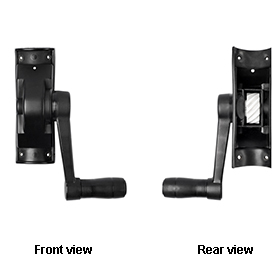 The Handle Assembly is supplied complete with Handle Grip and Shaft.